As many as 2 in 3 pregnant women have some degree of abdominal separation and as a result, it is essential that you think carefully about the kind of abdominal exercises you do in the childbearing years. So what is abdominal separation and why do I have it? Abdominal separation, also known as diastasis recti or diastasis of the rectus abdominis muscle (DRAM), affects over half of all postpartum women. It’s a condition where the right and left sides of the rectus abdominis, or the ‘six-pack’ muscles, spread apart at the stomach midline (the linea alba). 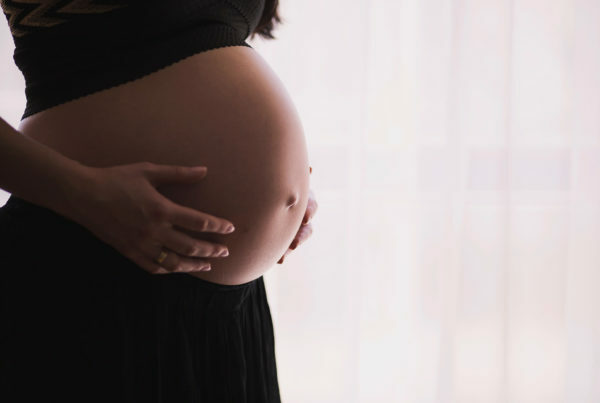 It’s caused by a combination of abdominal weakness, hormonal changes, weight gain and the stretching of your abdominal wall to accommodate your growing baby. Throughout the later stages of pregnancy, women may notice a “peak” or “doming” around the belly button when getting out of bed, or doing a task that uses the abdominals. This is often the sign of a DRAM. By 35 weeks gestation, approximately two thirds of women will have a separation. For the detail lovers, the abdominal wall has four layers of muscle: the rectus abdominis, external oblique, internal oblique and, the deepest layer, the transversus abdominis. Yep, a whole lot of serious-sounding, Latin-ish terms but what it really means is your rectus abdominis muscles are weak and this impacts the deeper muscles of the abdomen and pelvic floors (and your whole support system) because everything is connected. Even though it is super common, abdominal separation is something that many women don’t seem to talk about much. Our bodies face incredible changes during pregnancy and it often takes 6 – 8 weeks for the uterus to returns to its normal size. And whilst some of us might “bounce back” faster than others once bub arrives, the overwhelming majority of us need time to heal naturally and restore our tummy muscle and pelvic floor muscles. This can take up to a year (or more) after the baby is born. DRAM can have a number of implications for pre- and post-natal women. It can affect the stability of the trunk and may contribute to pelvic floor dysfunction (66% of patients with DRAM have reported to have pelvic floor dysfunction), back and pelvic girdle pain and hernias. In fact, 66% of patients with DRAM have reported pelvic floor dysfunction. This may be a factor in persistent post-natal lumbar, pubic symphysis and sacroiliac pain and even incontinence due to the interaction of the pelvic floor and abdominal musculature as a stabilising unit. If the gap is larger than two fingers-width then you should avoid outer abdominal exercises (think ab curls and crunches) until the deeper core and pelvic stability muscles are strengthened. Just remember that many traditional exercises (e.g abdominal curls, oblique curls, double leg lifts) increase the stress on both abdominals and pelvic floor and can further increase muscle separation. The deep abdominal muscles act as a corset to support your back and abdominal organs so keeping them strong is crucial. There are, however, many things you can do, both during pregnancy and after the baby is born, to help eliminate or reduce the chance of abdominal separation. Firstly, when it comes to managing DRAM, it is best to seek a thorough assessment by an appropriately qualified physiotherapist with experience in pre/postnatal care, and to create a specifically tailored exercise program that’s right for you. Real-time ultrasound technology is often used to assist in determining how your abdominal wall is functioning and to give you instant feedback on the quality of your deep abdominal and pelvic floor activation. Exercises should focus on improving core stability, strengthening pelvic floor muscles and improving overall abdominal wall function. In addition to a specific exercise program, abdominal muscle support (compression garments) is essential for the management of DRAM. The combination of compression and a tailored exercise program will help you achieve optimal results. Avoid any activities that work the outer abdominals from the early stages of pregnancy is important. That means no sit-ups, planks or high impact activities like running and jumping. These types of movement put excessive strain through the rectus muscles and can dramatically increase the likelihood and severity of DRAM. Also avoid heaving up from a lying position to sitting or standing (ie best to roll onto your side first). That’s a good idea for all pre and postnatal women whether they have a separation or not. Instead, focus on exercise that focus on deep abdominal muscles such as Clinical Pilates or tailored prenatal Pilates and exercise. Make sure your chosen form of exercise is prescribed by an appropriately qualified physiotherapist (or similarly qualified professional) with experience in pre/postnatal care. Walking, swimming and more restorative exercise will also help at this time. Also avoid excessive coughing and constipation. Getting started on some deep abdominal and pelvic floor muscle exercises will optimise the function of your torso during pregnancy and as a new mum. When you work with a physio, they will usually conduct a pre-exercise analysis to identify special considerations for your exercise programming and tailor the exercises appropriately. Focus should be on strengthening from the inside to the outside. The deep abdominal and pelvic floor muscles are the priority. 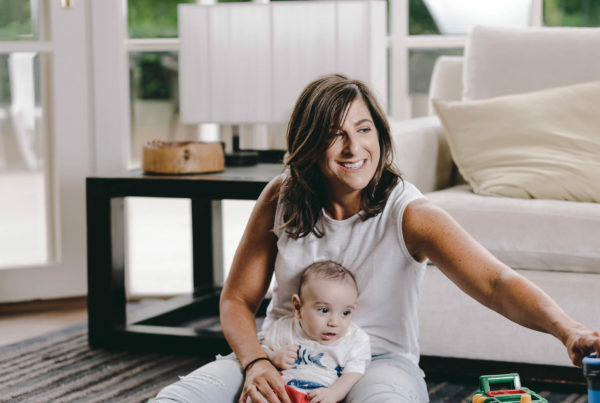 Make sure you think about protecting your core against further muscle stretching by activating your pelvic floor muscles while performing everyday activities like lifting your baby or lifting a pram in and out of the car. Before returning to high impact activity and intense exercise, start slow and build on your strength gradually with low impact exercises like swimming and walking. Remember mums, be kind to yourself: you’ve created and given birth to a tiny little human being and your body has been through a marathon over the last 9 months! Take things slow, seek support services, look after yourself, seek the right advice from an appropriately qualified physiotherapist with experience in pre/postnatal care, and most of all enjoy your cute new addition!